While many businesses talk and brag about their customer service, here at Xcel Delivery Services we actually deliver our services through everyday operations. Every delivery and shipment we make and every product you have, receives the utmost care and professional attention it deserves. Our family run business takes on the challenges of our customers in logistics, transportation, and warehousing with the highest level of dedication, always going the extra mile. Our team strives to exceed customers’ expectations. 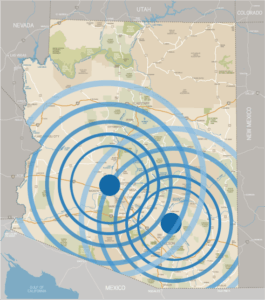 Xcel Delivery Services remain proud, long standing members of the Customized Logistics Delivery Associations, Tucson Chamber of Commerce and Southern Arizona Better Business Bureau. 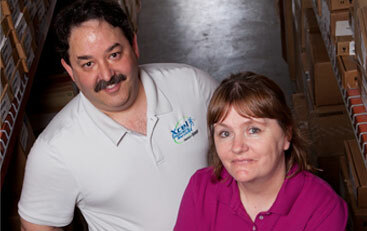 Mark and Kelly Spivack, born and raised right here in the soul of Tucson, are the owners of Xcel Delivery Services. With a deep-rooted, long history in business and customer satisfaction, the couple has combined their vast knowledge in logistics with their love for Tucson to create and build a thriving business. Working out of a brand new 15,000 square warehouse, the couple takes pride in knowing Xcel Delivery Services is fully capable of handling your full suite logistics, warehousing, and distribution needs. Their strong business philosophy of delivering the utmost in customer service makes them the number one choice for your business solutions.